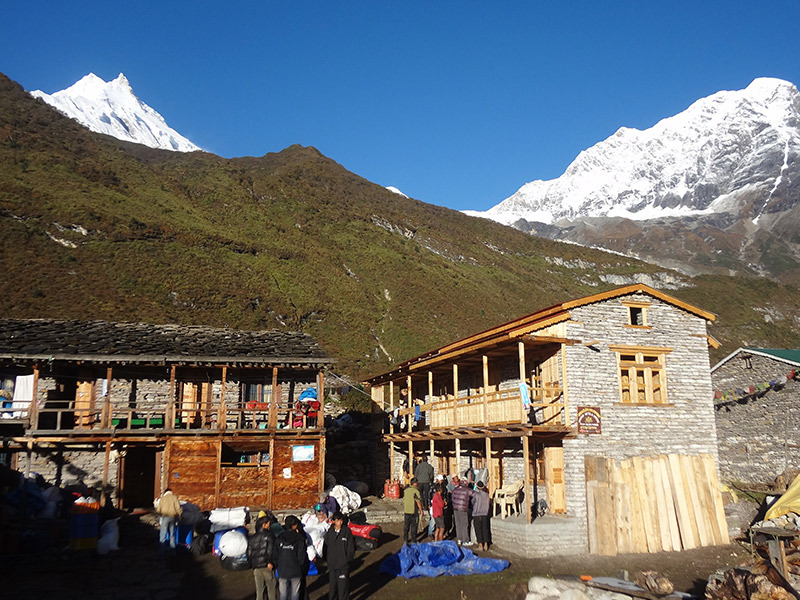 Annapurna Sanctuary Trek is a famous tea house trekking route in the southern face of Annapurna base camp. Trekking along the Modi Khola gorge leads you to the panorama of vast mountains. The diverse culture in this region makes this 12 days trek all the more interesting as you pass by the gorgeous Himalayas including Annapurna 1, Gangapurna and Fishtail looking straight at you as you head towards the highest altitude at the Annapurna Base Camp at 4179M. The flight from Kathmandu to Pokhara takes 20 minutes through the scenic views of the Himalayas so we would suggest picking the seats on the right side for the better views of the Himalayas. 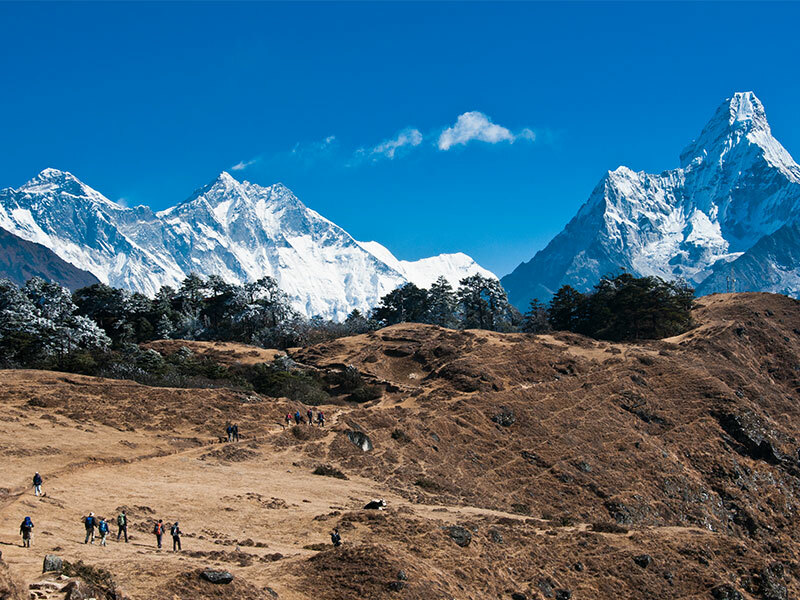 The trek follows the traditional route from Birenthanti to where you will drive after arriving at the Pokhara airport. 12 days trek that approaches the high Himalayan peaks. No night above 4,000 meters! After breakfast and depending on your booked flight timing, you will be transferred to the domestic terminal for the scenic flight to Pokhara. The flight takes about 20 minutes providing spectacular views of Langtang, Manasalu and Annapurna ranges. Once in Pokhara, our crew along with private vehicle will meet you at the airport. From here you will drive to Phedi which is about 1-hour drive to start the trek to Tolka (1700M). We continue our trek towards Jhinu Dada through the magnificent oak forest to arrive Landruk after 50 minutes of walk. The trail further descends to the new suspension bridge through the Modi River. A gradual upward for about 1.5 hours brings you to Jhinu Dada. A Hot Spring awaits you 15 minutes down the riverside if you want to take a dip and relax. Chances are you also get to see some wild animals around here. As we continue our trek after breakfast, we pass through Chhomrong. The trail descends from here through the stone staircase and crossing the Chhomrong River through a suspension bridge. Continuing the trail and climbing up the trail we arrive in a tiny settlement of Tilicho in a forest of bamboo, rhododendrons, and oak. Climbing further on a rocky trail we arrive at Sinuwa (2350M). As we climb further through the rhododendron forest and little further we arrive in Bamboo. The trail today goes past the Machhapuchhre Base Camp (3820M). 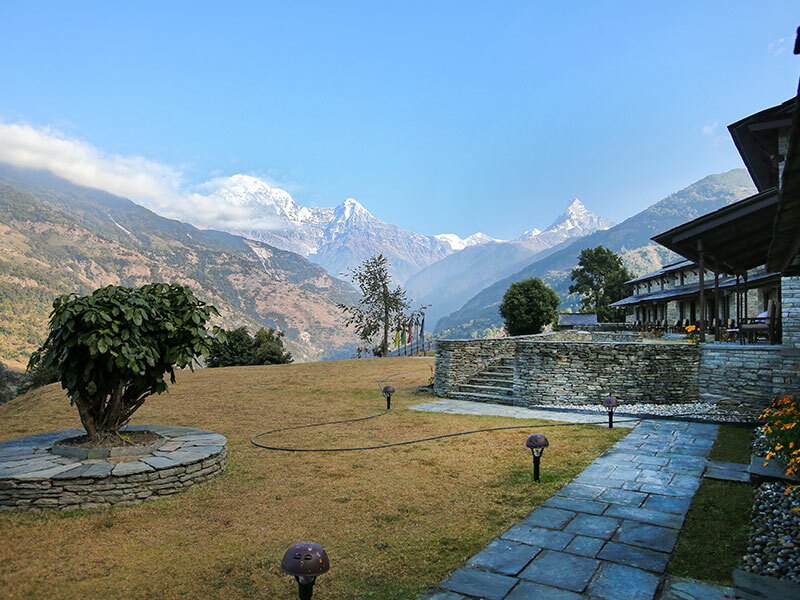 Trekking further to Annapurna Base Camp where we arrive in about 2 hours, we enjoy the panorama of the Himalayas with Annapurna range looking straight at us. We will spend one more extra day at the base camp. After breakfast, the trek starts with the trail descending on a stone staircase and crossing the Chhomrong Khola then climbs through deep rhododendron and bamboo forests reaching Dovan, a small village with scattered lodges. We continue descending passing through Bamboo where we stayed overnight while coming up and continue through the forest. The trail continues descending steeply up to Kuldi Bazaar. From here we take the flat trail till Sinuwa after which there is a gradual descend until we arrive at New Bridge where we spend overnight. Your last day in the mountains today, you will hike towards Birenthanti and further towards Nayapul where our vehicle will be waiting for us to take us to Pokhara where we spend a very comfortable overnight at the hotel. After breakfast, we are transferred to the domestic airport in Pokhara and we take a scenic 20 minutes fly back to Kathmandu. Our representative will be at the airport to receive you and transfer you to the hotel. Your checkout time at the hotel is 11 AM and 3 hours prior to your departure time you will be transferred to the airport for your onward flight back. Day 1 : Arrival in Kathmandu. Transfer to the Hotel. Day 11 : Fly Back to Kathmandu. Transfer to Hotel.